If you are a frequent visitor to the northern woods you will eventually come face to face with a moose. How close your encounter is will depend on how deep you are in the woods. 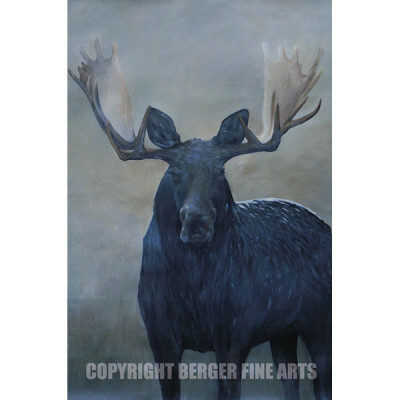 This painting captures the imagination the moose appears like a giant ship emerging from a fog. This limited edition 12" x 16" archival quality Giclee print is signed and ready to frame.